DIA’s clear focus on e-commerce comes from the company’s commitment to always adapt to customers’ new needs, staying ahead of the game. The company’s e-commerce sales tripled in 2017, and shopping can now been done online in more than 30 provinces in Spain, which represents close to 70% of the country. In addition, in 2017 DIA worked on improving its value proposition in online sales in Spain, with an increase in the number of delivery times (even on the same day as the order is placed), as well as the launch of a new application that allows customers to shop from mobile devices. This new application, which complements the company’s application focused on managing purchases, digital coupons, and which includes a store search function, is available for iOS (the App Store) and Android devices (Google Play), offering a wide selection of close to 9,000 SKUS in the food, household goods, hygiene, cosmetics and beauty categories, taking DIA closer to a significantly younger age group compared to the customers that visit its physical stores. The DIA Group’s banner focused on the catering channel, Max Descuento, has also launched its own online sales channel. 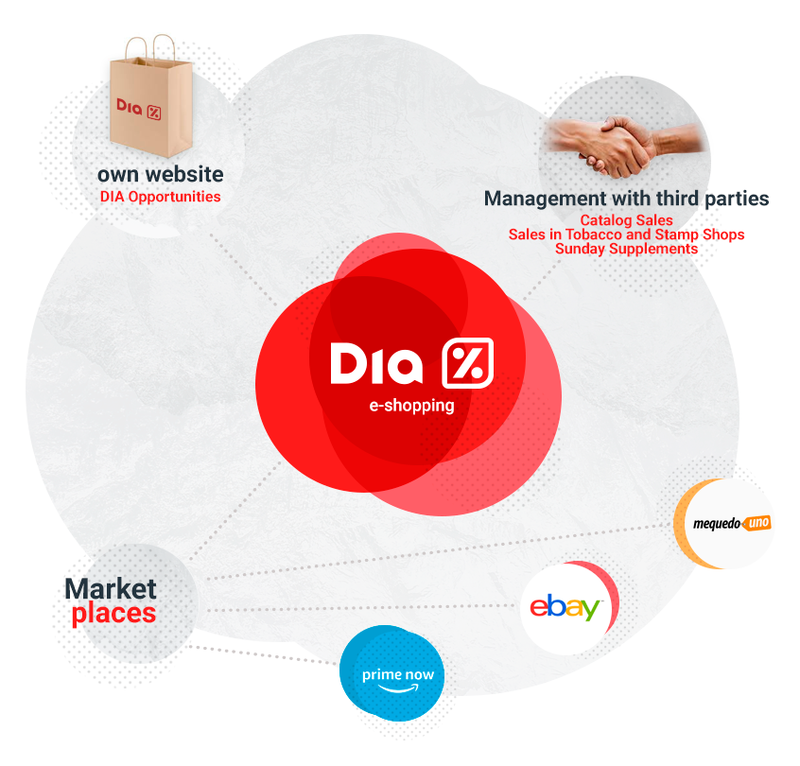 For now, DIA’s online business related to the sale of food is only present in the Spanish market, although next year the company is due to launch it in Portugal and Argentina. Alongside the development of the online channel focused on food, the DIA Group is also working on the online sale of non-food products. Clarel.es, specialised in personal hygiene, cosmetics and beauty, offers customers the option of organising their shopping by means of an online catalogue split by category, or through information and interactive content, providing advice to customers. In addition, the company has grouped its channels focused on products that are not directly related to food, such as technology, electronics, and household goods, in its company called DIA E-shopping, created in 2014. This company includes the flash sales website Oportunidades DIA, which is present in both Spain and Argentina, and which includes more than 1,000 products such as mattresses, TVs, fridges, and even trips. During the last year, in addition to offering bargain products, the company also included the catalogue of products sold in the company’s stores in Spain, both own stores and franchised stores. Leveraging these synergies between the off and on channels, customers can now place their orders by catalogue in the actual store and receive the order at home. 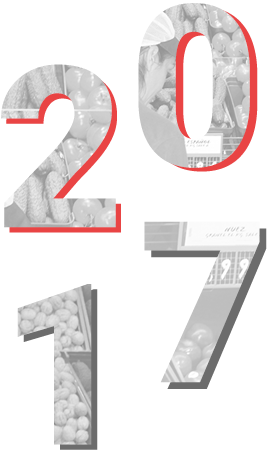 During 2017, catalogue sales (up to now present in the Group’s stores) have been expanded to include more than 3,000 tobacconists across Spain. With the aim of opening a new sales channel, users of these premises will find a wide selection to place orders and receive the purchase at home in a few hours. In addition, agreements have been reached with national newspapers in Spain to develop and manage the company’s Sunday catalogues. The company’s e-commerce offer was completed in Spain with the signing of a partnership agreement with Amazon, whereby customers can access 5,300 SKUs from the La Plaza de DIA and Clarel banners on the Amazon Prime Now platform. The agreement with Amazon was also expanded during 2017, with the installation of delivery lockers at 13 La Plaza de DIA stores. This agreement has also allowed the DIA Group to start exporting its own-label Clarel products to the German, Italian, French, and UK markets.